DDC Laboratories India is affiliated to DDC which is the world leader in DNA testing. DDC has more than 2 decades of experience with DNA Testing Services. 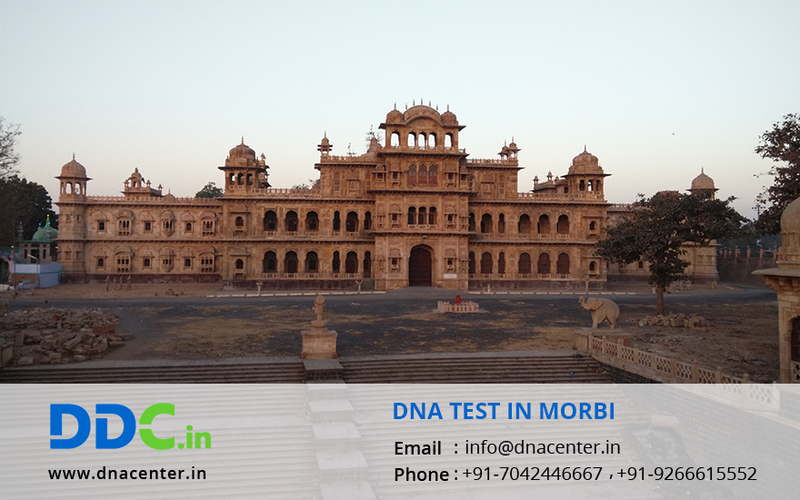 DDC Laboratories India has opened up a collection center for DNA Test in Morbi Gujarat. We have opened up sample collection centers with a mission to serve the people by offering the most trustworthy and rational DNA testing in the city. Various complications that are related to human identification can be solved with the help of a DNA test. DNA testing can be done for identification of dead bodies in case of natural calamity or war. DNA testing can be done for visa application to some countries where it is necessary to prove relation. DNA testing can be done where the spouse is apprehensive about extra marital affair or physical involvement but has no proof. DNA test can also be done for peace of mind. It can also be done for an unborn child to confirm paternity. This may be done in invasive and non-invasive way. We also undertake the DNA analysis of two alleged siblings independently. From the genetic profiles, a sibling-ship DNA Index is calculated in order to confirm their relationship as brothers / sisters. For any type of DNA Test in Morbi Gujarat, please fill the form and our executive will get in touch with you or give us a call at +91 7533008488.